(From left to right): McDonogh’s BJ Farrare (Private Schools North), Hereford’s JD Nozemack (Class 2A), Severna Park’s Josh Coffman (Class 4A), Landon’s Joey Epstein (Private Schools South), Patterson Mill’s Connor Madsen (Class 1A) and Northern-Calvert’s Abe Hubbard (Class 3A) were among the award recipients at the C. Markland Kelly Lacrosse Banquet at Navy-Marine Corps Stadium Sunday evening. Epstein was the overall winner. For the third straight year, the “Best High School Lacrosse Player in the State of Maryland,” resides in Montgomery County. Joey Epstein from Landon School was selected the 72nd recipient of the C. Markland Kelly Award Sunday evening at Navy-Marine Corps Stadium. Epstein, a Johns Hopkins University-bound attack, was selected by a committee chosen from the Maryland State Lacrosse Coaches Association. Thirty-five private and public school boys’ lacrosse players were nominated this year. It’s the third straight year the prestigious award has been claimed by a player outside of the Baltimore region. Bullis School’s Alex Trippi (North Carolina) and Nicky Petkevich (Colgate) won the honor in 2017 and 2016, respectively. Epstein was humbled about being selected the state’s top player. The No. 3 player in Inside Lacrosse’s Young Guns Top 100 seniors, Epstein led Landon to a runner-up finish in the Interstate Athletic Conference (IAC) in the spring. The Bethesda school was the nation’s No. 1 squad last year as Epstein had a school-record 123 points (75 goals and 48 assists). BJ Farrare, who guided McDonogh School to the top-seed in the MIAA A Conference playoffs, was selected the top player among private schools in the North region of the state. Epstein was named the South winner before receiving the top honor. In addition to the top honor, companion awards were made in each high school division. Patterson Mill senior attack Connor Madsen was the top player in the Class 1A public, Hereford’s J.D. 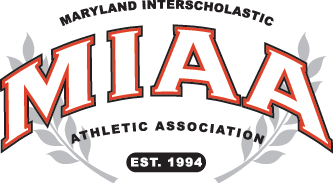 Nozemack won for 2A, Northern-Calvert’s Abe Hubbard was the 3A recipient and Severna Park senior attack Josh Coffman claimed 4A honors.